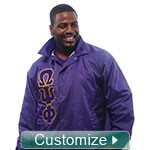 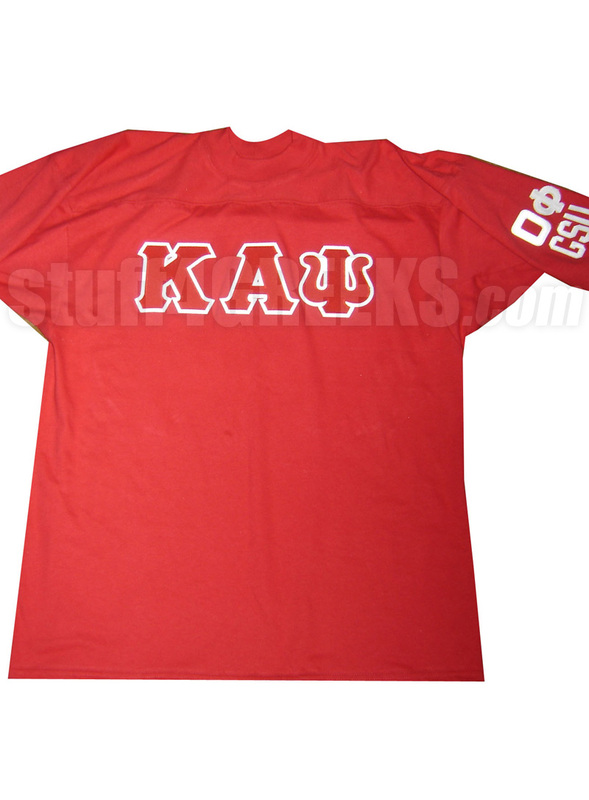 Base price includes your fraternity or sorority letters sewn on the front. 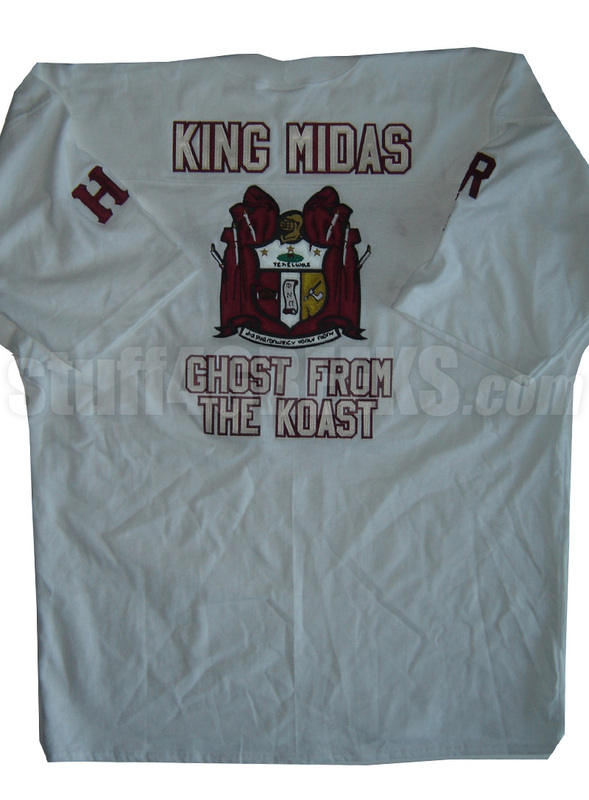 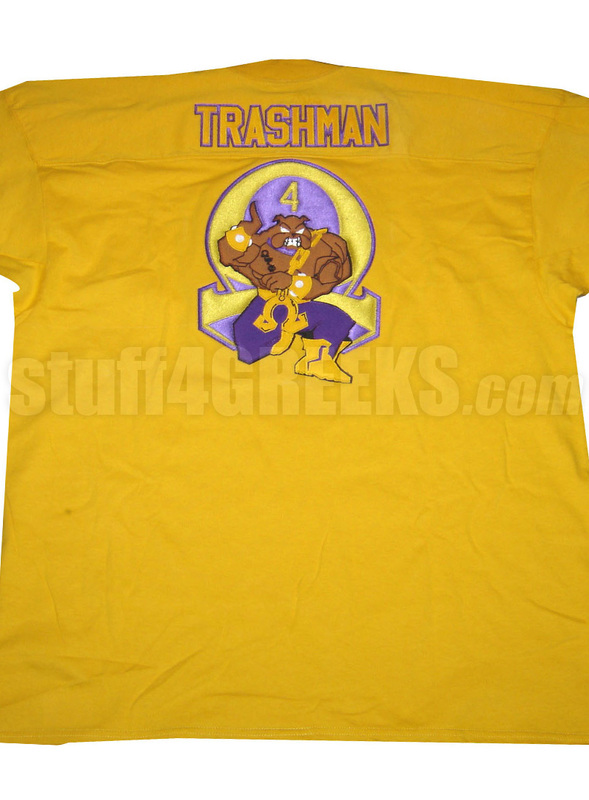 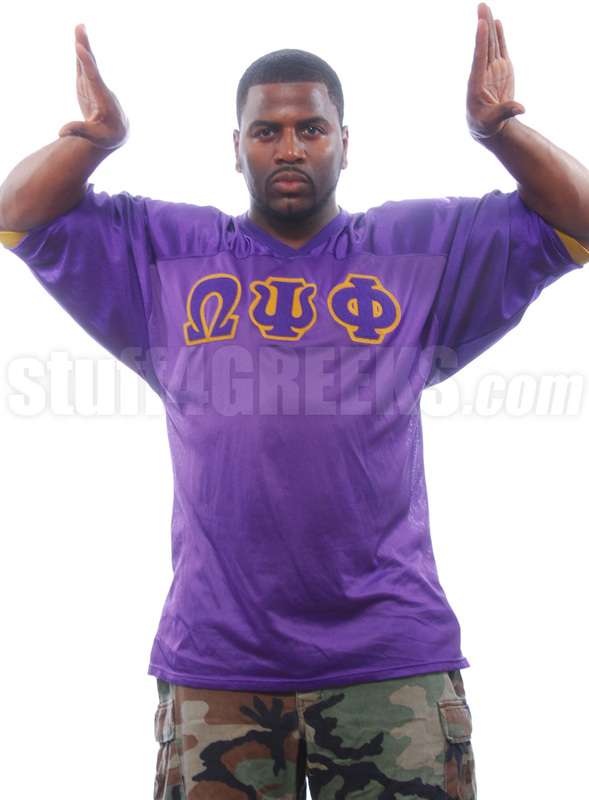 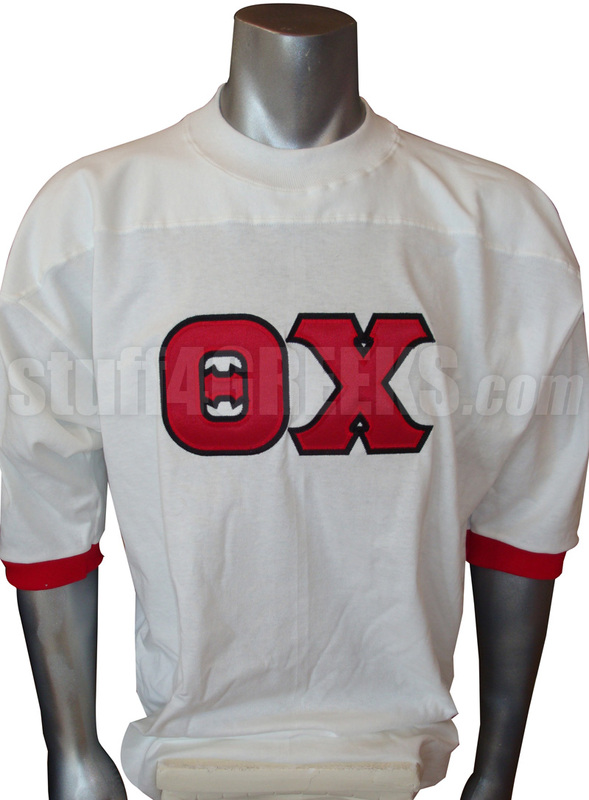 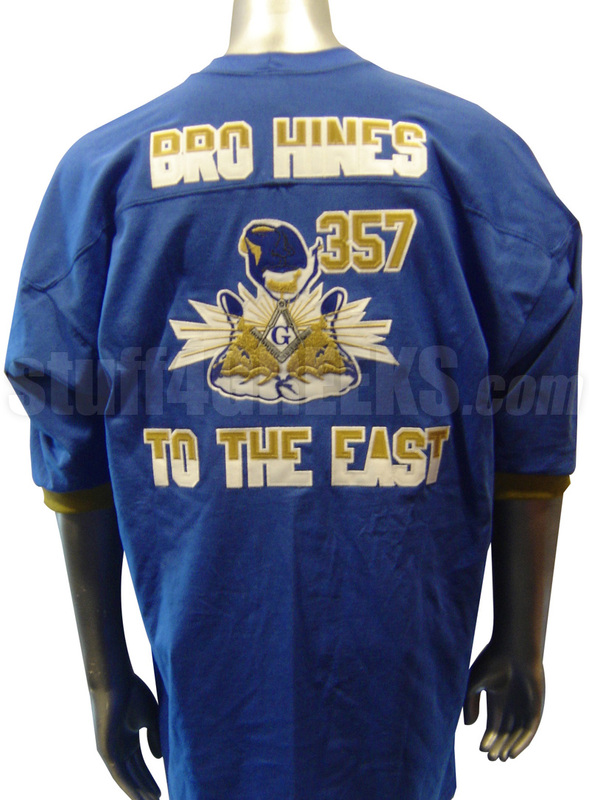 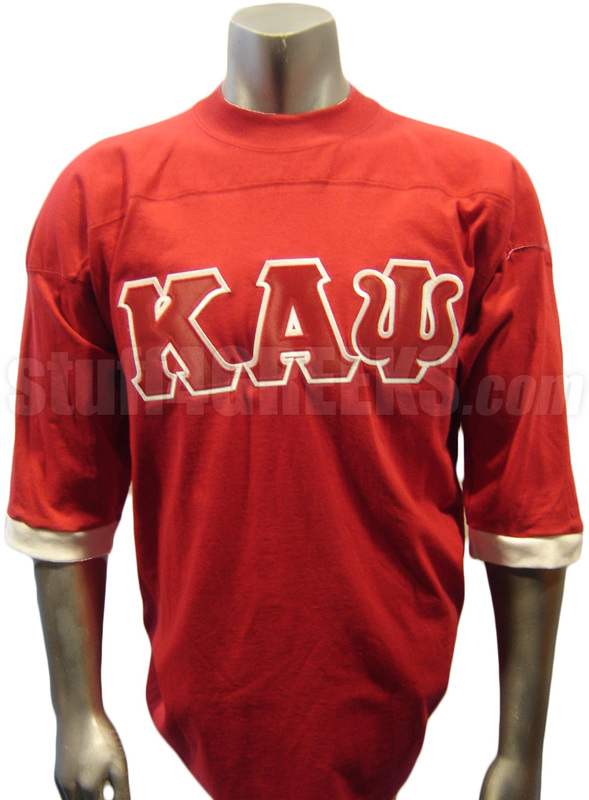 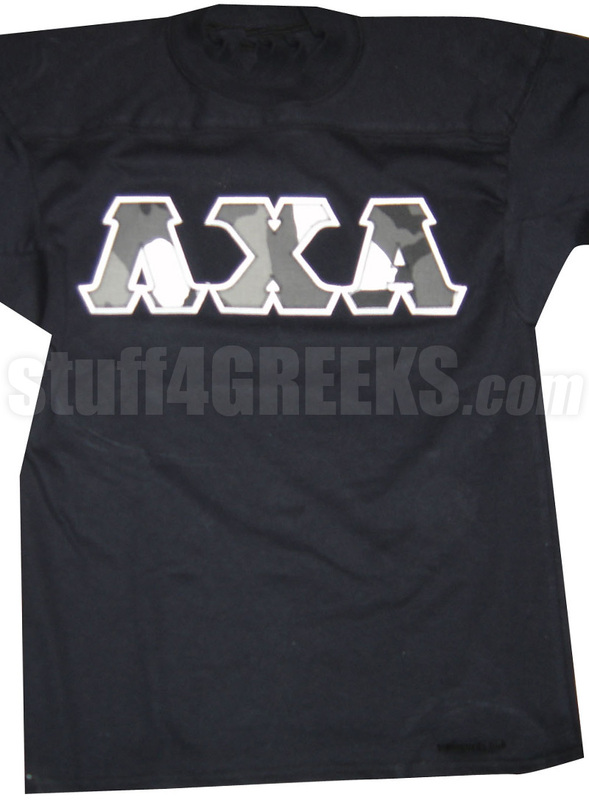 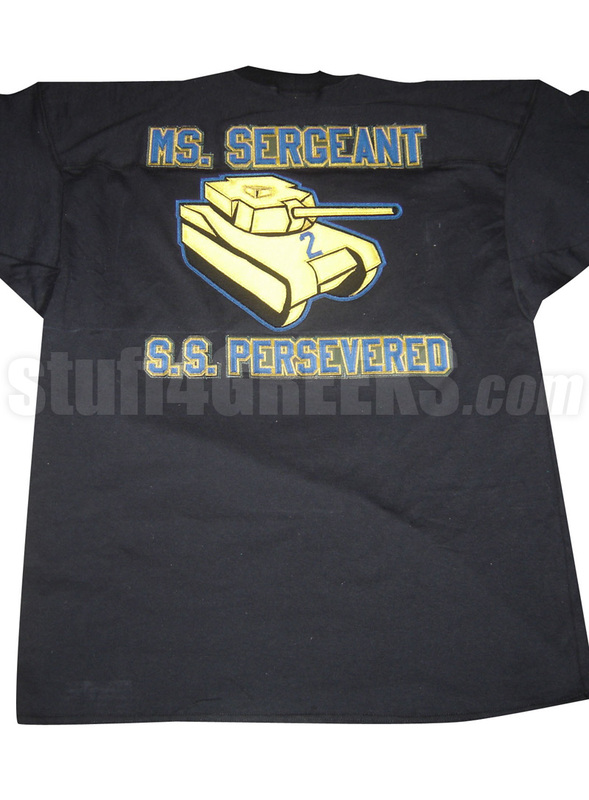 This is the official Greek fraternity and sorority jersey with sewn-on applique tackle twill letters. 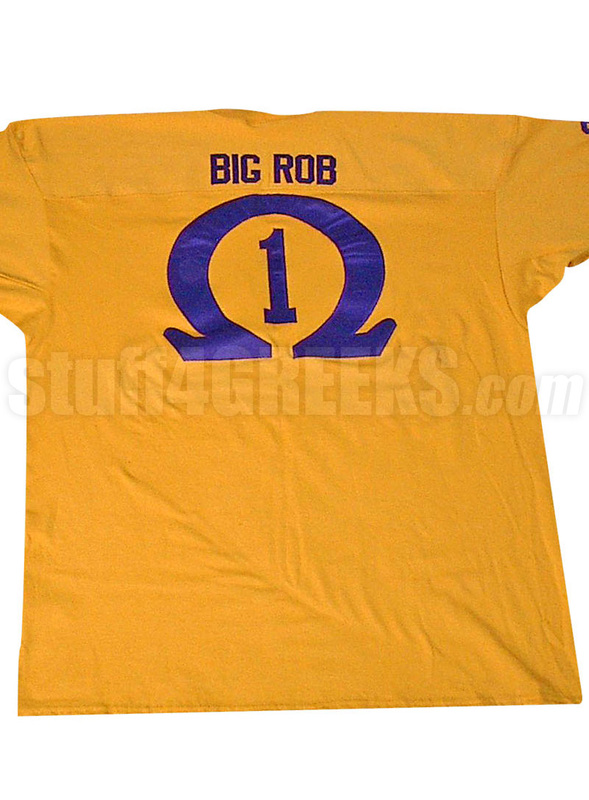 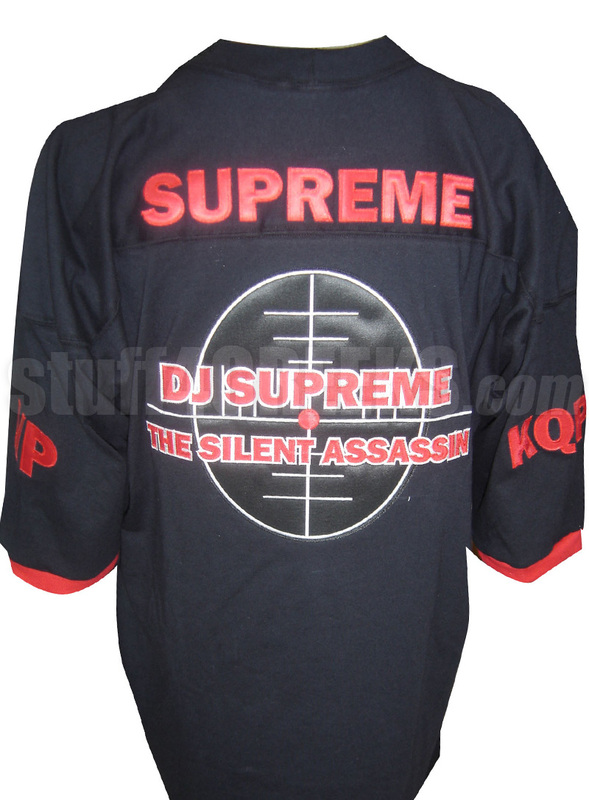 Also referred to as line shirts, line jerseys, crossing shirts, crossing jerseys, Greek jerseys, frat jerseys, etc. 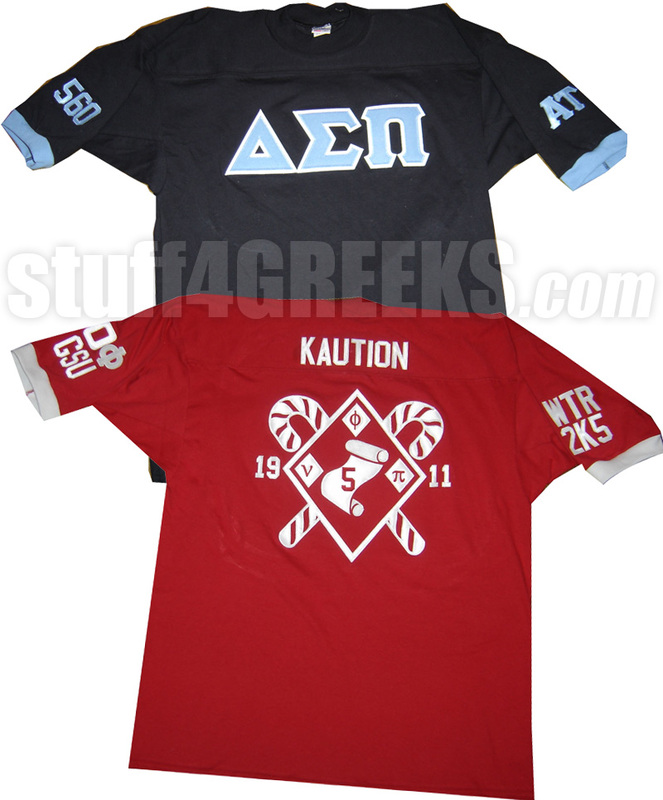 Watch the video below for examples of Greek crossing jerseys we've created for other customers just like you.